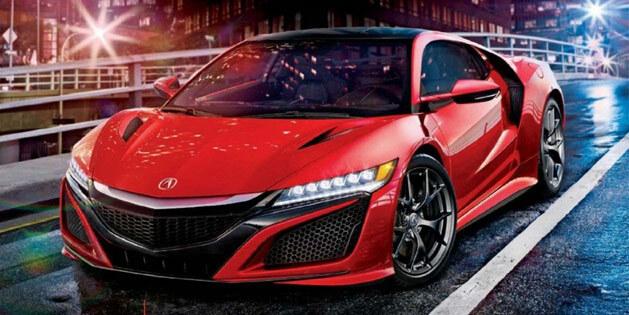 Hot off its world debut at the North American International Auto Show, the new Acura NSX is your cover model for the March editions of Motor Trend and Automobile Magazine. 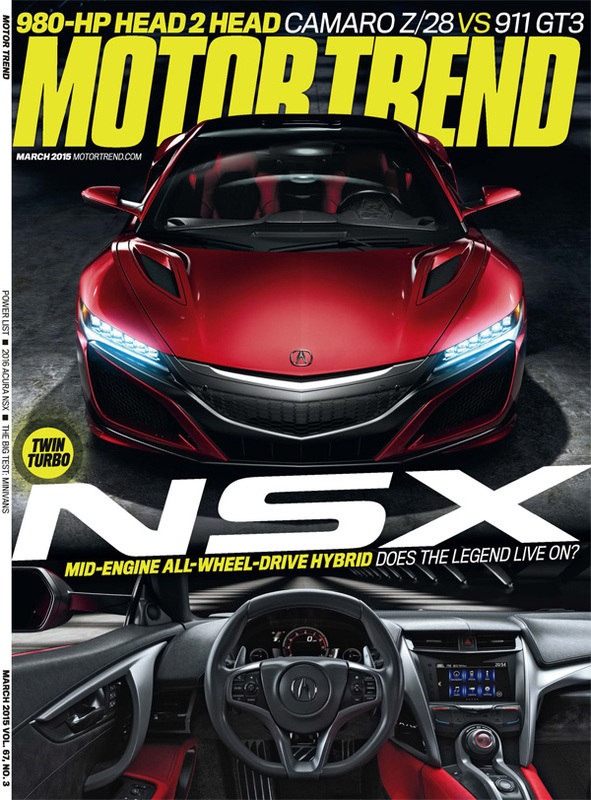 While both issues are now available in hard copy and as a digital download, Motor Trend’s feature on the NSX can be viewed online at motortrend.com – New Sports Experience: The Second Coming of Acura’s Halo Supercar. 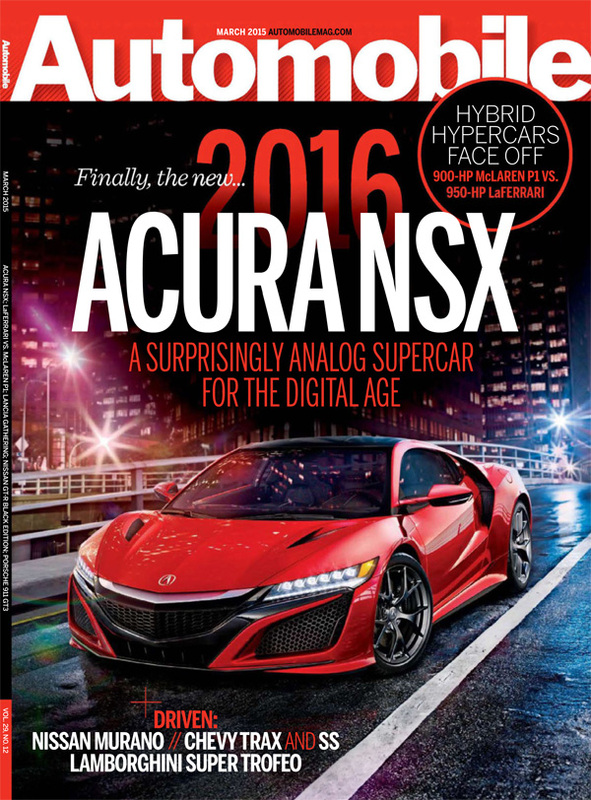 Automobilemag may have put the car on their cover, but their article tore the looks of the car to shreds (not that I agree with them, I think Acura did a great job). If you haven’t read their article already, you should, especially if your going to refer to your readers to it. Their article about the car was a downer. “Tore the looks of the car to shreds” is a bit of an exaggeration I’d say IMO. By the way, so called “purists” are like movie critics who feel their ‘job’ is to find things to complain about or they are not a real critic which results in petty and often exaggerated negativity. The bottom line about these “purists” is that they are not fully happy unless they had a hand in designing the car. Pay no attention to “purists”. Pay attention to the sales numbers as that will tell a broader story of the car’s appeal. Are you referring to the “By Design” article by Robert Cumberford? The write-up in the magazine is different. The article I was referring to was Robert Cumberford’s. He was pretty snobby.